Join the Kenny Lattimore Foundation and featured talents Annale’, known for her Billboard charting radio hit “Roses” and 21-year old classically trained pop pianist, Reyna Roberts for a night of music at the The Rose Pasadena on Sunday, January 27, 2019. 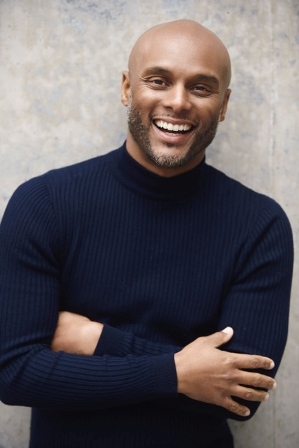 Kenny Lattimore will announce the partnership and launch of the pilot programs with its Los Angeles partner, ICEF View Park Preparatory Accelerated Elementary School and the Washington D.C. partner, Sousa Middle School. The Washington D.C. pilot program launches first, in the Spring of 2019 and Los Angeles pilot program commences in the Fall of 2019. Lattimore a native of Washington, D.C. with accolades ranging from Grammy nominations, Stellar and NAACP Image awards nominations, desires to share music education, resources and knowledge via access to musical training to underprivileged students. With a heart for philanthropy and previous work with Teach for America and the UNCF, Lattimore is working to bridge the gap and provide music resources to students. With a career spanning two decades, highlighted by his 1996 breaththough single, “Never Too Busy”, followed by “For You” and “Love Me Back”, Kenny Lattimore’s influence of Jazz, Funk, Gospel and R&B and touched people around the world. His latest single, “Stay on Your Mind”, recently climbed to the #7 UAC Billboard Chart, while still maintaining strong radio rotation around the country. While he continues to tour and give back a little ‘soul’ to audiences, his heart lies with giving back to future musicians and singers. Visit www.KennyLattimore. com for tickets. To request detailed information regarding the Music and Arts programs in both Washington D.C. and Los Angeles and how to join as a Music Sponsor, please send inquiries to info@ KennyLattimoreFoundation.org.